Preventing skin cancer in children is an important responsibility for parents and guardians. You will hear horror stories of how skin cancer in adulthood can be traced back to sunburn during the childhood and teenage years. In fact, if your children have suffered from severe Sunburn, their risks for developing melanoma are higher! 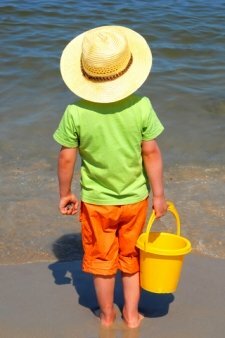 So, if you love your children, one of your top priorities is preventing skin cancer through the following sun protection methods. And while you are at it, you must also protect yourself from the sun's harmful UV rays. You don't want to make orphans out of yourself in an untimely manner from something that could have been avoided with a few simple steps. And did we mention that skin cancer can also spread to other organs of the body? You cannot dismiss sunburns as these can be the beginning of cancer that will tear your heart apart. The Big C is not one of humanity's top killers for nothing. Your first step in protecting children from the risks of sun exposure is to educate them about the possible dangers. If you can educate your kids about not handling fire, then you must teach them not to play with the ultimate fire - the sun. Your children's education on sun protection must depend on their age levels but it is never too early to start. During their infant and toddler years, you must take full responsibility in providing for their ultraviolet protection. 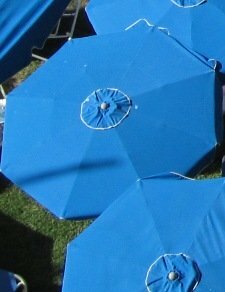 As they grow older, you must explain to them in terms that they can understand about the importance of sun protection and then expecting them to take responsibility over it. Preventing skin cancer in children is a concerted effort among all family members. But parents being the adults must be the source of reliable information for the kids. You must also walk the talk. If your children see that you are taking good care of your skin, they are more likely to follow. Remember that kids learn from their parents by mimicking their actions. You must tell and show them about the importance of simple prevention methods against skin cancer. • Avoiding the sun at midday usually from 10AM to 4PM. These are the hours when the sun is at its strongest and, thus, the most dangerous for the skin. • If sun exposure cannot be avoided, always use sunscreen with SPF 15 or SPF 30 on the skin. Even on cloudy days when the sun is hiding, sunscreen is a must as the clouds cannot prevent ultraviolet rays from passing through. Winter days also require sunscreen outdoors for the same reason. • Sunscreen must also be applied on the scalp and hair. • Wear uv protection clothing from pants to shirts. Wide-brimmed hats and sunglasses are also a must. One of the most important but often overlooked ways of skin cancer prevention is to always check your skin for any changes. In fact, you must schedule regular consultations for yourself and your children when you have any of the risk factors for skin cancer. Early detection ups the chances for success in treatment of the likes of Malignant Melanoma. Indeed, not only is preventing skin cancer important but treating it as soon as possible is critical, too. Simply click here to go to Skin Cancer Encounters and Stories.